Knees feeling sore after that workout? Make sure you ice those knees. Injured knee? Sprain, ligament tear, hyperextension, runner's knee, jumper's knee? Regardless of injury, the best way to help alleviate pain, reduce swelling and inflammation is via cold therapy. 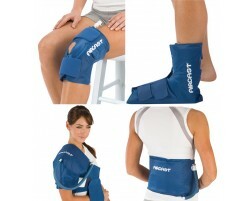 Shop reusuable ice packs, compression wraps, cryo cuffs and more for your knee. 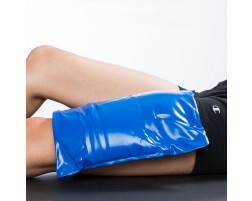 Don't want to be stuck with saran wrap and bags of ice on your knees, try one of our cold compress knee wraps. Chronic pain? Try a heat wrap for the knees to help increase the blood flow as long as there is no swelling.